January 2, 2015: Donation income for the Vereinte Kirche Gottes [UCG-Germany] in 2014 was 1.5 percent higher than in 2013. Regular mail income was 3.7 percent lower, but the increase in Holy Day offerings (11.7 percent) offset the decline. Coworkers and donors (defined as individuals who provide financial support but do not attend UCG-Germany worship services) contributed 13.3 percent of UCG-Germany's regular mail income in 2014. January 7, 2015: During the year 2014 the "Gute Nachrichten" website had 248,384 visitors, 3.2 percent less than in 2013. January 14, 2015: The January-February issue of the "Gute Nachrichten" magazine is mailed to 8523 readers in 17 European countries, representing a 0.1 percent increase over the November 2014 issue. The January issue was mailed to 7156 subscribers in Germany, 646 subscribers in Switzerland and 626 subscribers in Austria. January 20, 2015: For the year 2014 the Vereinte Kirche Gottes ["UCG-Germany"] distributed a total of 61,902 print publications in the German language, 3.5 percent more than in 2013. The booklets requested most often were "Jesus Christus: Die wahre Geschichte" ["Jesus Christ: The true story"], "Nach dem Tode – was dann?" ["What happens after death?] and "Die Zehn Gebote" ["The Ten Commandments"]. In addition, 3968 ebooks were downloaded from the Apple Store and Amazon. The booklet "Das Buch der Offenbarung verständlich erklärt" ["The Book of Revelation Unveiled"] was downloaded 1374 times. January 27, 2015: The Vereinte Kirche Gottes ["UCG-Germany"] is now able to offer its 15 ebooks free of charge at the Google Play Store. Previously a minimal charge was required. February 4, 2015: The Vereinte Kirche Gottes [UCG-Germany] provides typesetting assistance to help complete lesson 10 of the Dutch-language Bible Study Course, to be published by the United Church of God-Netherlands. Final typesetting assistance will be provided for the other 2 lessons yet to be completed. February 11, 2015: The Vereinte Kirche Gottes [UCG-Germany] now provides an MP3 sermon website for its members and church attendees. 440 recorded sermons are currently available for listening and download. February 19, 2015: The Vereinte Kirche Gottes ["United Church of God-Germany"] produces its first video sermon, Die besondere Botschaft des Johannesevangeliums ["John's Special Gospel Message"]. UCOG President Paul Kieffer gave the sermon in Munich. February 27, 2015: Donation income for the Vereinte Kirche Gottes [UCG-Germany] for the first two months of 2015 was 3.2 percent higher than in January-February 2014. Coworkers and donors (defined as individuals who provide financial support but do not attend UCG-Germany worship services) contributed 12.8 percent of UCG-Germany's income in January-February 2015. March 4, 2015: The Vereinte Kirche Gottes [UCG-Germany] provides typesetting assistance to help complete lesson 11 of the Dutch-language Bible Study Course, to be published by the United Church of God-Netherlands. Final typesetting assistance will be provided for the last lesson yet to be completed. March 9, 2015: In the first two months of 2015 UCG-Germany distributed 615 ebooks via Smashwords, including 570 downloads via the Apple store. In January-February 113 ebooks were distributed via Amazon, including 85 downloads of the booklet "Das Buch der Offenbarung verständlich erklärt" ["The Book of Revelation Unveiled"]. March 14, 2015: The March-April issue of the "Gute Nachrichten" magazine is mailed to 8546 readers in 17 European countries, representing an increase of 23 subscribers over the January 2015 issue. The March issue was mailed to 7161 subscribers in Germany, 650 subscribers in Switzerland and 633 subscribers in Austria. 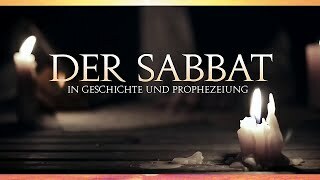 March 22, 2015: The Vereinte Kirche Gottes ["United Church of God-Germany"] produces its second "Beyond Today" telecast in German, Der Sabbat in Geschichte und Prophezeiung ["The Sabbath in History and Prophecy"]. A volunteer team translated the original English text and the scripture images, provided the German voices for the three "Beyond Today" speakers and dubbed the audio. March 31, 2015: Donation income for the Vereinte Kirche Gottes [UCG-Germany] in March was 63.2 percent higher than in March 2014. Coworkers and donors (defined as individuals who provide financial support but do not attend UCG-Germany worship services) contributed 12.1 percent of UCG-Germany's income in March 2015. April 5, 2015: 107 people met at seven locations to keep the Passover on April 2nd. On the first day of Unleavened Bread, 148 people attended services in six locations: Dormagen (40), Hamburg (14), Mörfelden (24), Mühldorf (25), Plauen (7) and Winterthur in Switzerland (38). The offering was 15,144 €, which was 65.5% higher than last year's offering. April 13, 2015: On the last day of the Feast Unleavened Bread, 147 people attended services in six locations: Berlin (9), Dormagen (38), Hamburg (11), Mörfelden (26), Munich (24) and Winterthur in Switzerland (42). The offering (7083 €) was 38.9% lower than in 2014. April 20, 2015: The Vereinte Kirche Gottes [UCG-Germany] provides typesetting assistance and pre-print preparation for lesson 12 of the Dutch-language Bible Study Course, to be published by the United Church of God-Netherlands. The 12 lesson Bible Study course has now been completed. April 30, 2015: Donation income for the Vereinte Kirche Gottes [UCG-Germany] for the first four months of 2015 was 23 percent higher than in January-April 2014. Coworkers and donors (defined as individuals who provide financial support but do not attend UCG-Germany worship services) contributed 20 percent of UCG-Germany's income in January-April 2015. May 7, 2015: In March-April 2015 UCG-Germany distributed 470 ebooks via Smashwords, including 441 downloads via the Apple store. In March-April 100 ebooks were distributed via Amazon, including 66 downloads of the booklet "Das Buch der Offenbarung verständlich erklärt" ["The Book of Revelation Unveiled"]. In March-April 87 ebooks were downloaded from the Google Play Store. May 14, 2015: The May-June issue of the "Gute Nachrichten" magazine is mailed to 8610 readers in 25 countries, representing an increase of 64 subscribers over the March 2015 issue. The May issue was mailed to 7157 subscribers in Germany, 655 subscribers in Switzerland and 641 subscribers in Austria. May 25, 2015: 161 people met in seven locations in the German-language region on Pentecost weekend. 36 people met in Dormagen, and the other locations were Berlin (8), Hamburg (14), Mörfelden (26), Plauen (7), Rosenheim (25) and Winterthur in Switzerland (45). The offering in the German-language region was 9728 €, a 3.2 percent increase in comparison to last year's offering. The offering for the 3 spring Holy Days (Unleavened Bread, Pentecost) was 5.9 percent higher than last year. May 31, 2015: The Vereinte Kirche Gottes ["United Church of God-Germany"] produces another video sermon, Lebendiger Glaube ["Living Faith"]. UCG-Germany elder Martin Fekete gave the sermon in Munich. June 4, 2015: Donation income for the Vereinte Kirche Gottes [UCG-Germany] in May was 42.8 percent higher than in May 2014. Coworkers and donors (defined as individuals who provide financial support but do not attend UCG-Germany worship services) contributed 9.4 percent of UCG-Germany's income in May 2015. June 12, 2015: United Christian Outreach Germany announces a special fundraiser to provide $1000 for Armenien UCG member Mnazakan Poghossjan to attend this year's Feast of Tabernacles in Schluchsee, Germany. June 19, 2015: The Vereinte Kirche Gottes ["United Church of God-Germany"] produces another video sermon, Hütet euch vor dem Sauerteig der Pharisäer ["Beware of the Leaven of the Pharisees"]. UCG-Germany elder Martin Fekete gave the sermon in Mühldorf near Munich. June 26, 2015: The Vereinte Kirche Gottes ["UCG-Germany"] reprints the booklet "Das Geheimnis Ihrer Existenz" ["What is Your Destiny?"] for the third time since its original printing in 1998. For reprinting, the text of the booklet was adapted to the new German spelling rules and new material from the English version of the booklet was added. In a survey UCG-Germany members preferred the old cover image rather than the one now being used by the United Church of God. July 3, 2015: In May-June 2015 UCG-Germany distributed 397 ebooks via Smashwords, including 323 downloads via the Apple store. In May-June 93 ebooks were distributed via Amazon, including 43 downloads of the booklet "Das Buch der Offenbarung verständlich erklärt" ["The Book of Revelation Unveiled"]. In May-June 87 ebooks were downloaded from the Google Play Store. July 10, 2015: With a unique cover image selected by the editorial staff, the July-August issue of the "Gute Nachrichten" magazine is mailed to 8620 readers in 25 countries. The July-August issue was mailed to 7165 subscribers in Germany, 657 subscribers in Switzerland and 646 subscribers in Austria. July 17, 2015: The Vereinte Kirche Gottes [UCG-Germany] begins advertizing using the Twitter short message service. Ads are being placed primarily in Switzerland. The Vereinte Kirche Gottes now has 265 followers for its regular tweets via Twitter. Editorial staff member Jesmina Allaoua provides regular updates. July 28, 2015: United Christian Outreach Germany's special fundraiser to provide $1000 as festival assistance for Mnazakan Poghossjan to attend this year's Feast of Tabernacles in Schluchsee, Germany has reached 50 percent of its goal. August 3, 2015: Donation income for the Vereinte Kirche Gottes [UCG-Germany] in July was 38.5 percent higher than in July 2014. Coworkers and donors (defined as individuals who provide financial support but do not attend UCG-Germany worship services) contributed 11.7 percent of UCG-Germany's income in July 2015. August 10, 2015: The Vereinte Kirche Gottes ["United Church of God-Germany"] produces another video sermon, Unsere Reaktion auf die Vergebung Gottes ["Our response to God's forgiveness"]. UCG-Germany elder Martin Fekete gave the sermon in Munich. August 17, 2015: The bi-monthly publication Intern ["United News" in German] was mailed to 729 subscribers. A circulation of 1,000 subscribers in Germany would qualify "Intern" for a special mailing rate and reduce mailing costs within Germany by 60 percent. "Intern" is being actively promoted to achieve this circulation goal. August 31, 2015: In the first 8 months of the year UCG-Germany distributed 2349 booklets as ebooks through several online distributors, including the Apple Store and the Google Play Store. In the same period 2211 print booklets were distributed. There are currently 24 booklets available in print. Of those, 17 are available as ebooks. September 7, 2015: With an adaptation of the United Church of God booklet "Who is the Antichrist?" for its cover and lead article, the September-October issue of the "Gute Nachrichten" magazine is mailed to 8624 readers in 25 countries. The September-October issue was mailed to 7165 subscribers in Germany, 657 subscribers in Switzerland and 646 subscribers in Austria. September 14, 2015: 147 people met at five locations in the German-language region for church services today on the Feast of Trumpets. In Dormagen the attendance was 35. 20 people met in Mörfelden (near Frankfurt), and 47 were in attendance in Winterthur, Switzerland. In Rosenheim the attendance was 29. 16 people attended the afternoon service in Hamburg. September 20, 2015: The United Christian Outreach Germany special fundraiser to provide $1000 for Armenien UCG member Mnazakan Poghossjan to attend this year's Feast of Tabernacles in Schluchsee, Germany has reached its goal. Mr. Poghassjan speaks fluent German and is the only member of the United Church of God in Armenia and has only limited income. Without additional financial assistance from the church, he would not be able to attend the Feast. October 9, 2015: The offering statistics for the Feast of Tabernacles and Last Great Day in the German-language region have been finalized. The offering on the first day of the Feast of Tabernacles was 17,244 €, 56.7 percent more than last year. The offering (13,132 €) on the Last Great Day was 26.9 less than 2014. The total offering on the seven annual Holy Days in 2015 was 16.1 percent more than last year. October 16, 2015: The Vereinte Kirche Gottes ["United Church of God-Germany"] produces another video sermon, Warum forderte Gott von Abraham, seinen Sohn Isaak zu opfern? ["Why did God request Abraham to sacrifice his son Isaac?"]. UCOG President Paul Kieffer gave the sermon in Munich. October 25, 2015: The UCG-Germany National Council approved the 2016 budget of 235,000 €. Income is projected to be 195,000 €, with the deficit being paid from cash reserves. The budget includes funds to increase circulation of the "Gute Nachrichten" magazine to 10,000 subscribers and to print one new booklet and reprint two current booklets. October 31, 2015: Donation income for the Vereinte Kirche Gottes [UCG-Germany] for the period January-October 2015 was 15.9 percent higher than last year. Coworkers and donors (defined as individuals who provide financial support but do not attend UCG-Germany worship services) contributed 15.0 percent of UCG-Germany's income in the first ten months of the year. November 9, 2015: The November-December issue of the "Gute Nachrichten" magazine is mailed to 8658 readers in 25 countries, a 1.7 percent increase over the 2014 November-December issue. The magazine was mailed to 7175 subscribers in Germany, 670 subscribers in Switzerland and 656 subscribers in Austria. November 16, 2015: The Vereinte Kirche Gottes ["United Church of God-Germany"] produces another video sermon, Der Sabbat: Freude oder Last? ["The Sabbath: Joy or Burden?"]. UCG-Germany elder Martin Fekete gave the sermon in Munich. November 23, 2015: The 2016 stock of insert cards for literature and new subscriptions included with subscriber copies of the "Gute Nachrichten" magazine has been ordered. 57,000 insert cards are being printed to ensure sufficient supply for next year. November 30, 2015: Donation income for the Vereinte Kirche Gottes [UCG-Germany] for the period January-November 2015 remained steady at a 15.9 percent increase over last year. Coworkers and donors (defined as individuals who provide financial support but do not attend UCG-Germany worship services) contributed 20.9 percent of UCG-Germany's income in the first eleven months of the year. December 7, 2015: The Vereinte Kirche Gottes [UCG-Germany] is changing the layout of its booklet "Schlüssel zum Verständnis der Bibel" ["How to Understand the Bible"] for reprinting to match the smaller color format used by the United Church of God for English booklets. The booklet will be reprinted next year. December 14, 2015: The Vereinte Kirche Gottes [UCG-Germany] has begun translation and editorial work to produce the new booklet "Tools for Spiritual Growth". The German title of the booklet will be determined via a member survey. December 21, 2015: The Vereinte Kirche Gottes [UCG-Germany] now has 12 video sermons and 2 "Beyond Today" videos available on its YouTube channel. The videos have been viewed 10,344 times, including 6,996 views for the "Beyond Today" telecast on the four horsemen of the apocalypse. December 28, 2015: At the end of the year, 17 ebooks produced by the Vereinte Kirche Gottes [UCG-Germany] are available in the Apple iTunes store, the Google Play Store, via the ebook distributor Smashwords, the European ebook distributor Xinxii and German ebook distributors Thalia, bücher.de and Weltbild.